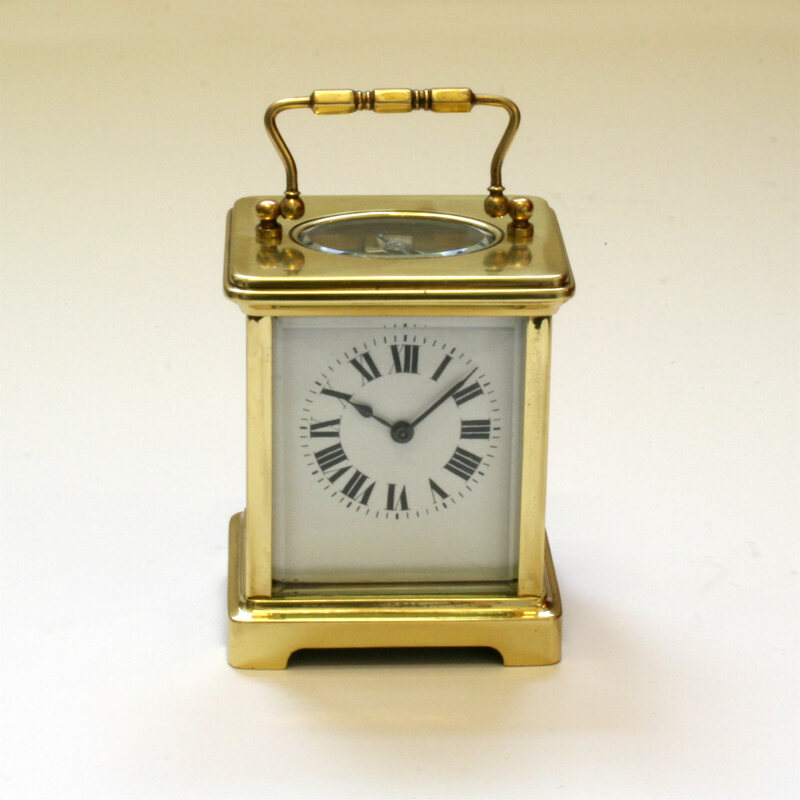 High grade French carriage clock. Product code: 1599 Categories: Sold Items, Sold Watches. Antique French carriage clocks make such an attractive addition to any room, and this one from the 1890’s is just wonderful and with a high grade movement that runs perfectly. 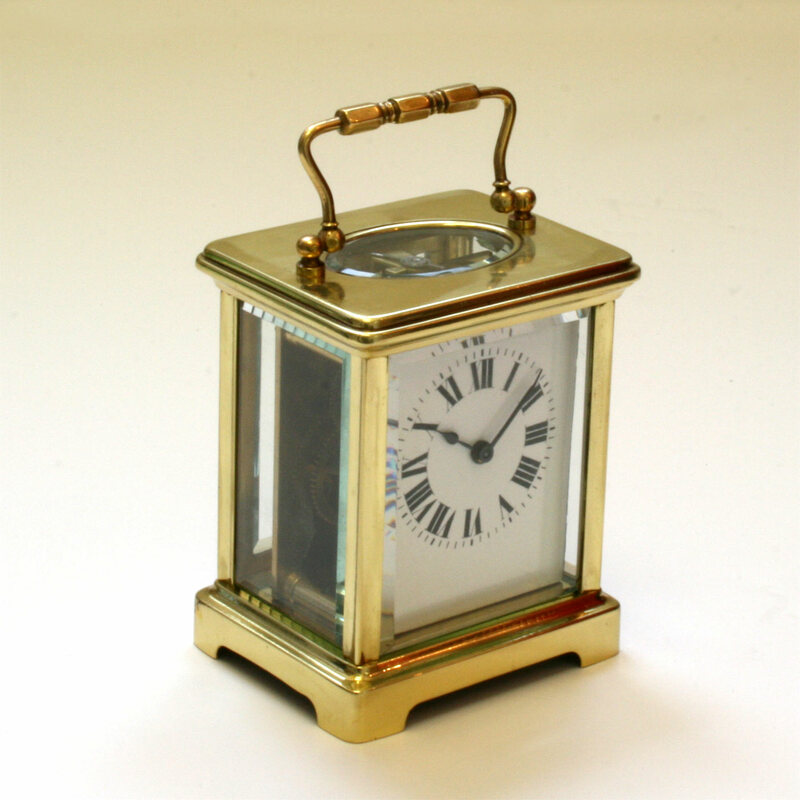 Measuring 14cm high (with the handle up) by 8cm wide by 6cm deep, and with the 4 glass panels on each side, and the oval glass panel on the top, this carriage clock looks just perfect. Inside is an 8 day high grade lever escapement that has been fully serviced and runs perfectly. 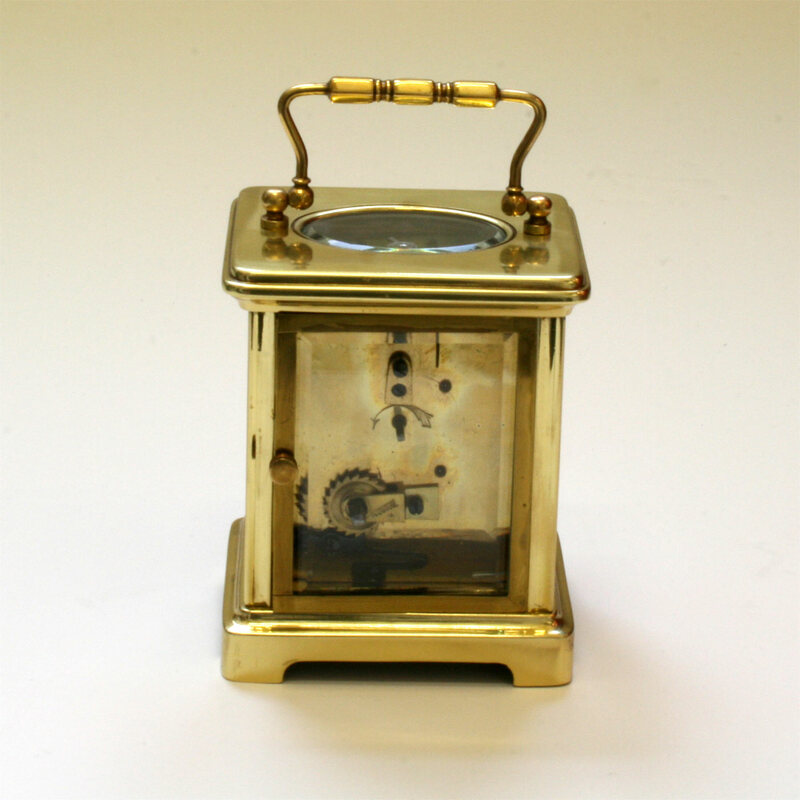 Antique carriage clocks have such a charming aesthetic appeal, and this is a wonderful example of one.